We’d love your help. 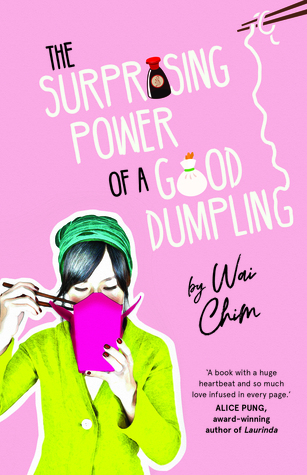 Let us know what’s wrong with this preview of The Surprising Power of a Good Dumpling by Wai Chim. But when Mum finally gets out of bed, things go from b Anna Chiu has her hands pretty full looking after her brother and sister and helping out at her dad’s restaurant, all while her mum stays in bed. Dad’s new delivery boy, Rory, is a welcome distraction and even though she knows that things aren’t right at home, she’s starting to feel like she could just be a normal teen. To ask other readers questions about The Surprising Power of a Good Dumpling, please sign up. Wai Chim grew up in New York City and now calls Sydney, Australia home. She is the author of the 'Chook Chook' series published by UQP and most recently 'Freedom Swimmer' with Allen & Unwin. You can find her online at waichim.com or on twitter @onewpc.